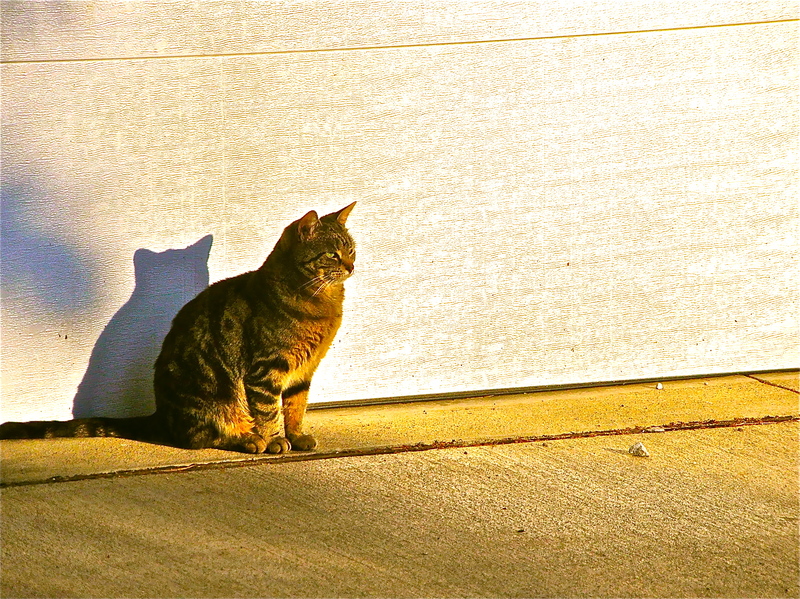 Our cat Sage, ever watchful, on one of her early morning patrols. Not much gets past this wild little feline. She looks so fierce haha. I like. Oh she’s very fierce. A small town hunter….we no longer have chipmunks!